« Fall is for Plaid. UPDATE: I figured out how to make and upload PDFs but still haven’t figured how to do one PDF with multiple pages. I’m getting there… In the mean time, you’ll have to download all eight pieces but it should be easier to print considering you won’t have to worry about scaling them. I know there are a bunch of PJ tutorials out there but here is mine. Unlike most of the other ones, this one doesn’t require you to copy a pair of pants you already own. I already did that. And then adjusted for sizes small and large. So you can just print the multi-size pattern I’ve uploaded. 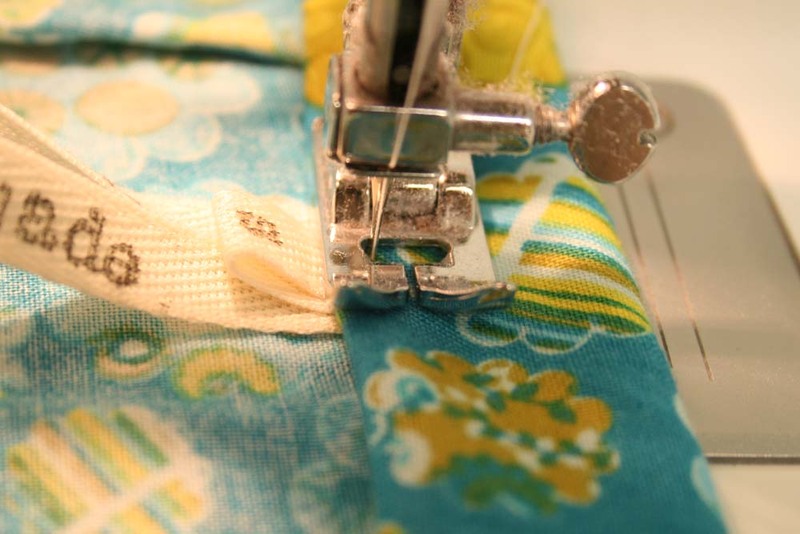 I realize not everyone has a serger so I’ve set this tutorial up to be done with French seams. 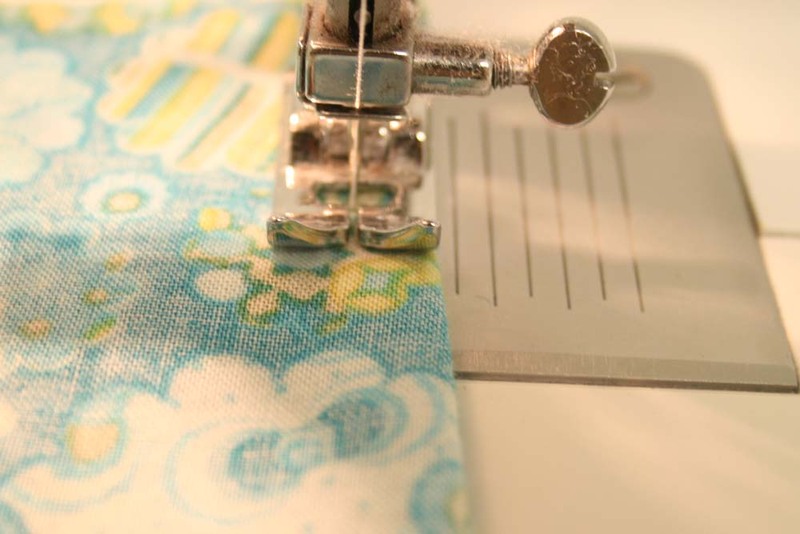 I’ll show you how to do French seams if you’re new to them. 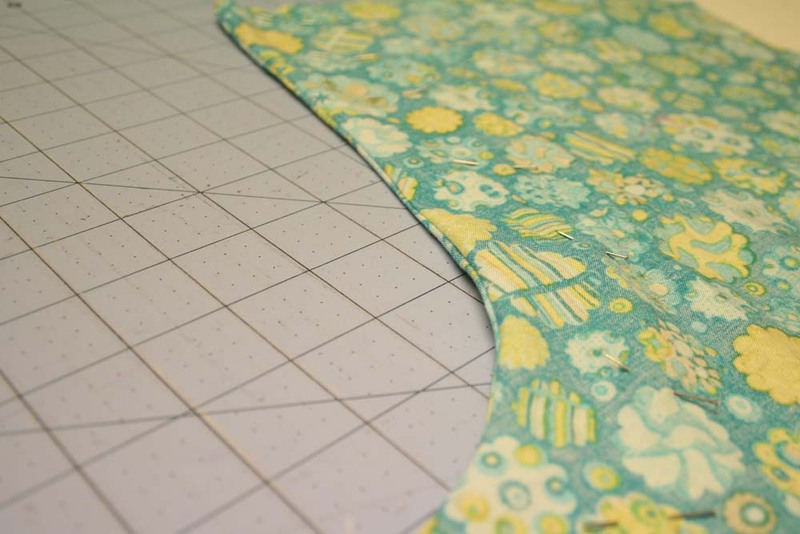 Actually, you’ll be doing a French seam on a curved seam but it’s a gradual curve so it works out well! The usual helpers: sewing machine, pins, pencil/water soluble marker, etc. Start by printing and cutting-taping together all the pattern pieces. 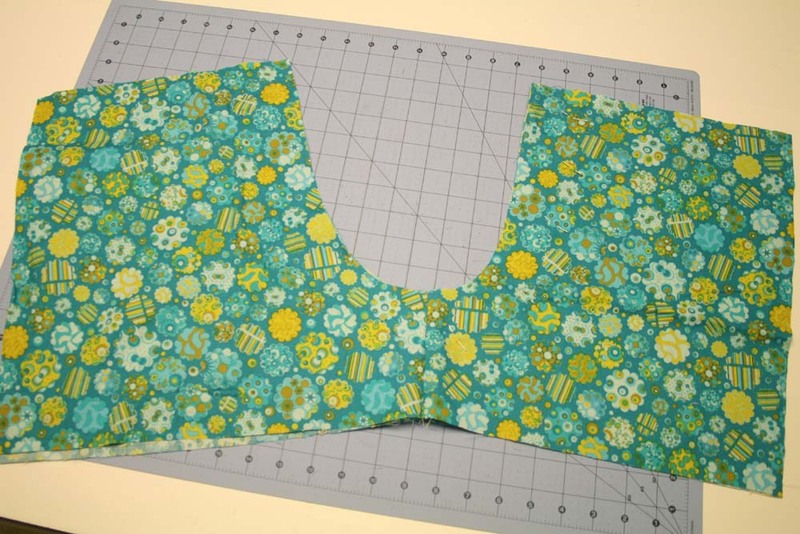 You’ll need to attach the smaller bits together to create two pattern pieces—a front and a back. Pin to your fabric and cut out. 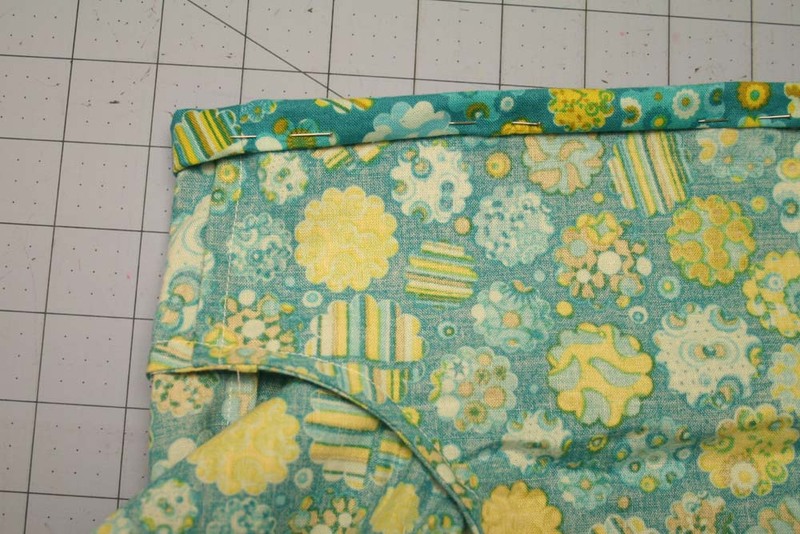 Mark the back by drawing a B or something on the wrong side of the back PJ shorts fabric pieces. 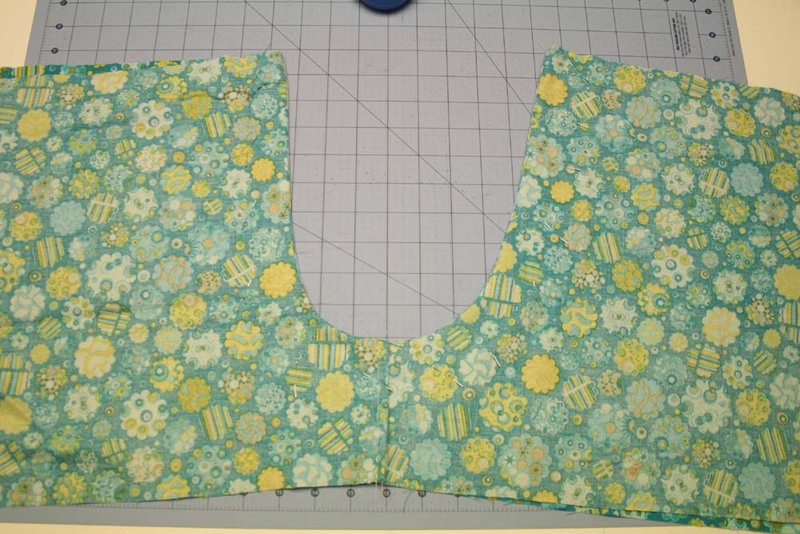 With WRONG sides together, pin one front piece and one back piece together at inseam. Repeat for other two pieces. 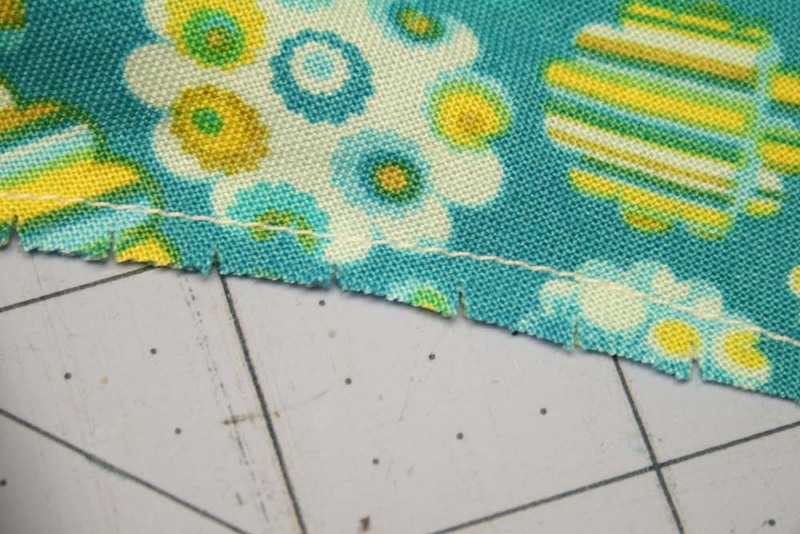 Trim seam allowance to 1/8″. Open up and iron seam allowance to one side. 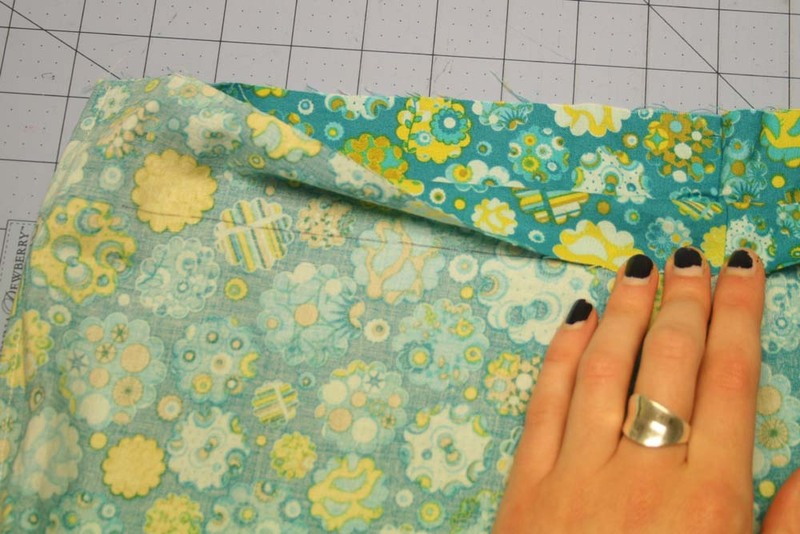 Fold over so right sides are touching and seam is nice and straight along edge and press. 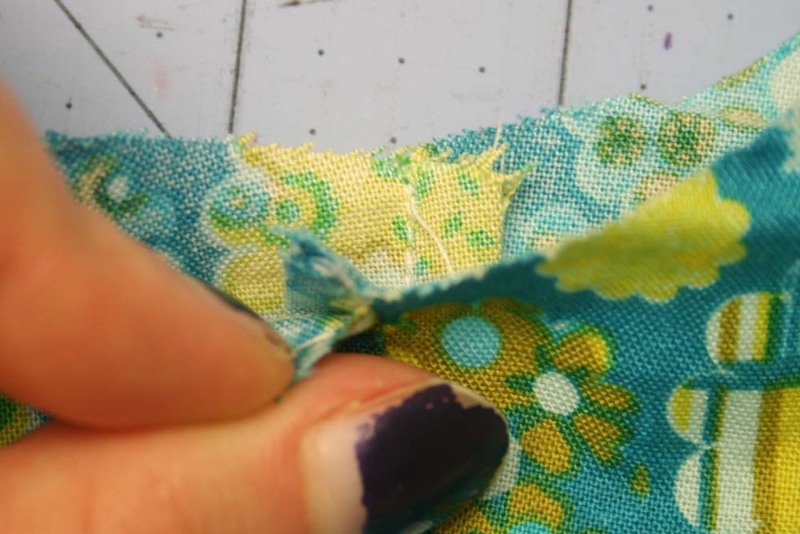 Open the two sewn-together pieces and with WRONG sides together pin together along inside curved edge. 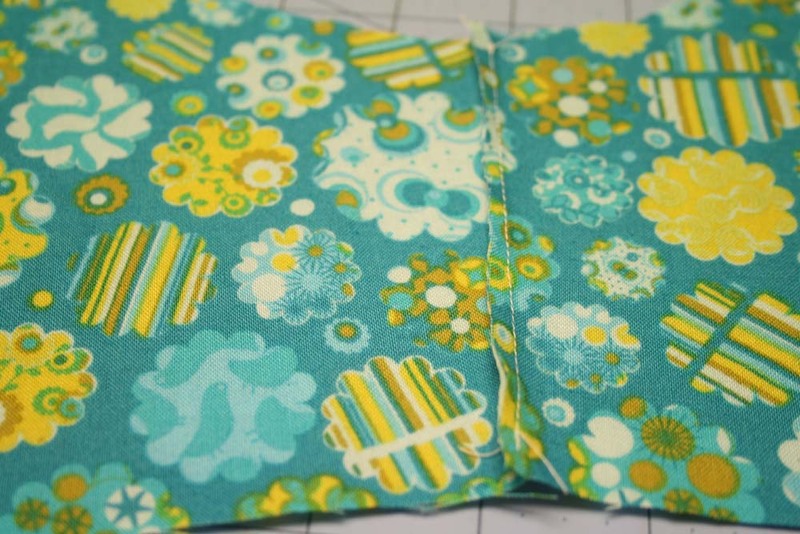 I like pinning one seam allowance one way and the other the other way to make less bulk. 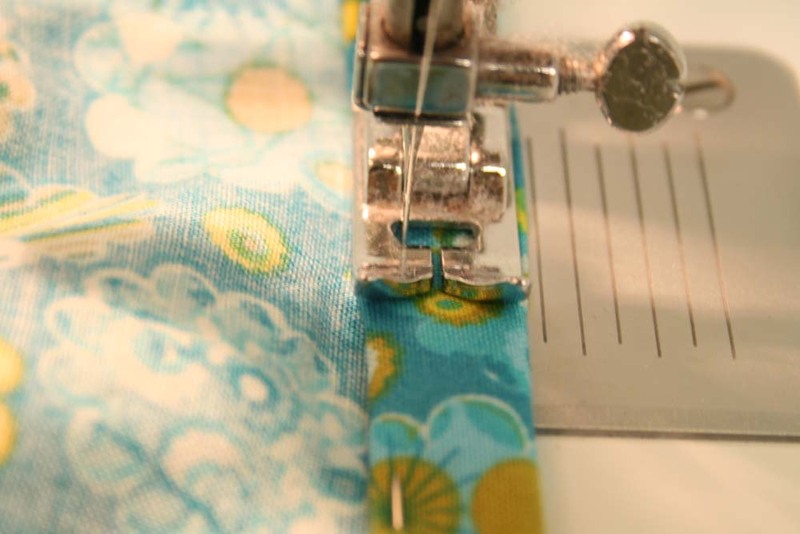 Now you want to clip the seam allowance to allow for some ease. Be sure not to clip your stitches. Fold so the RIGHT sides are together and press so seam is nice and neat. Now we are going to hem the legs. 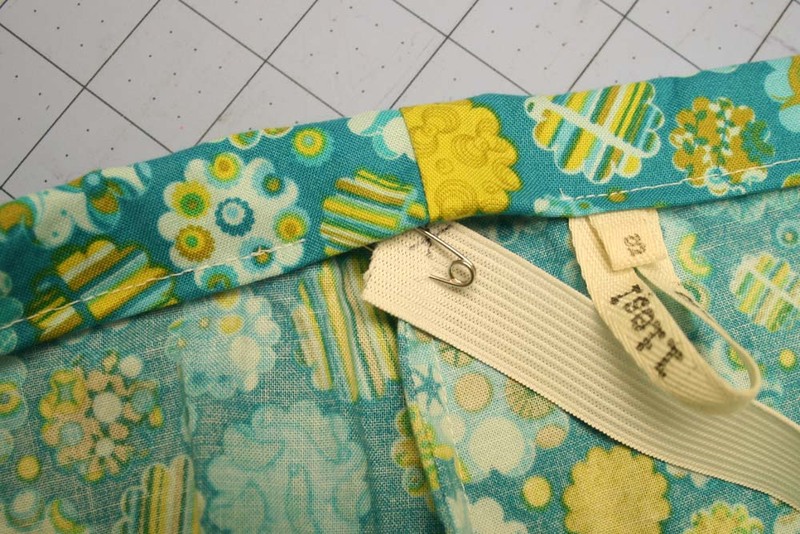 With PJ shorts upside down and inside out, mark and fold the edge down 1/2″ and pin. You can press if you prefer but I never bother. I like placing the pins as seen in the photo because when you do the next step you can pull them out easily and pin again. Fold again another 1/2″. 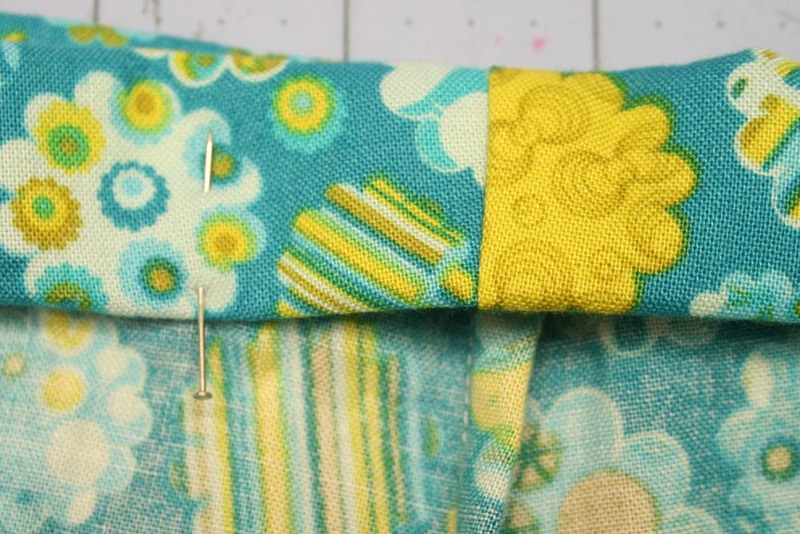 If you pin just like I do in the photo, you can easily pull the pins out as you sew in the next step. 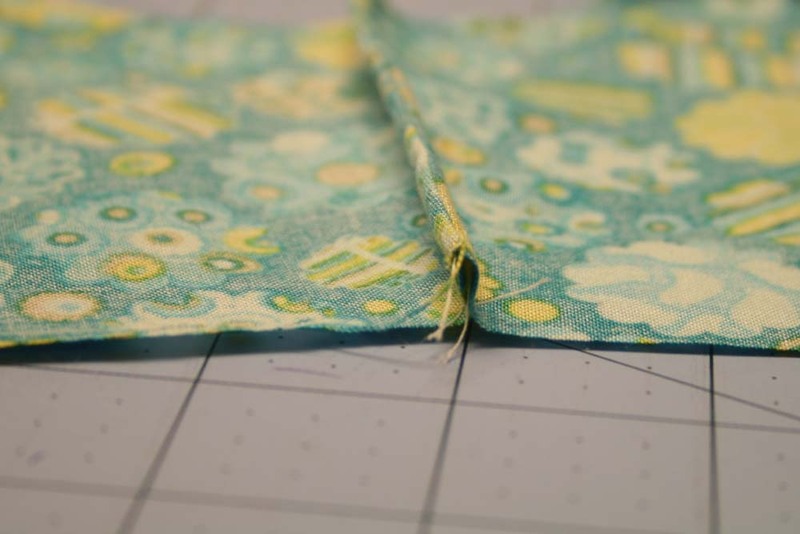 And the next step is indeed to sew about an 1/8″ from the inside folded edge. I like starting at the inseam. Now for the waistband. 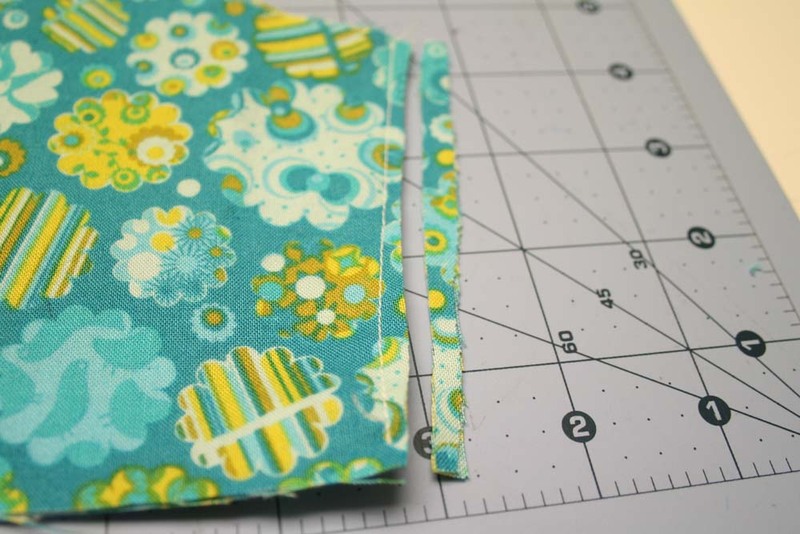 Fold down 1″ along waistband edge and pin. If you didn’t mark the back when you cut the fabric, never fear, the back is the sides which are longer in width at the leg hems. 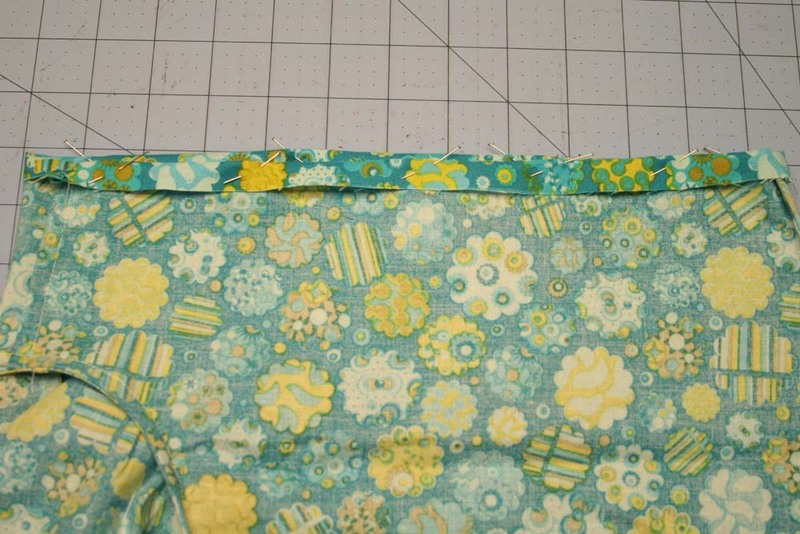 So now at the back center waistband, place a pin as seen. 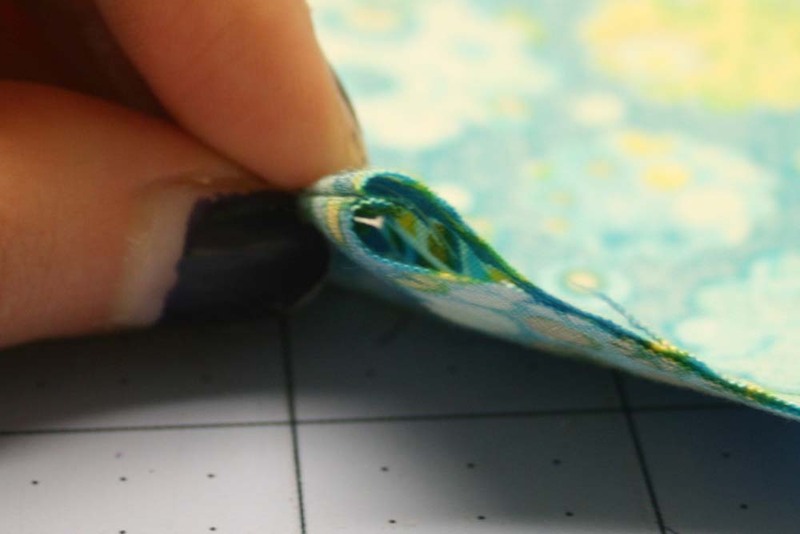 This will help remind you where to stop when you’re stitching. Now I usually pin on my labels. I use cotton twill tape but you can use some ribbon. This is so you know which side is the back when putting them on. I didn’t do this for the first pairs of PJ pants I made and I was always putting them on backwards. 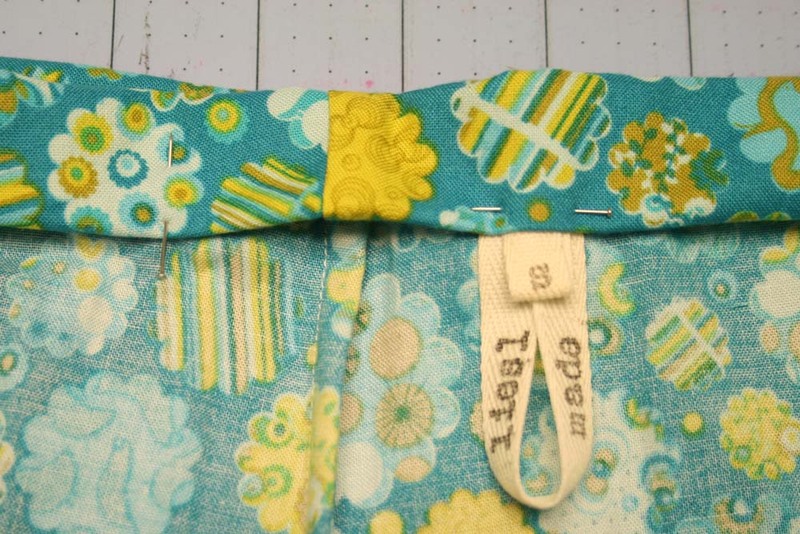 If you chose not to use a ribbon/twill tape tag in the back, you can stitch a button in the front center at the very end. 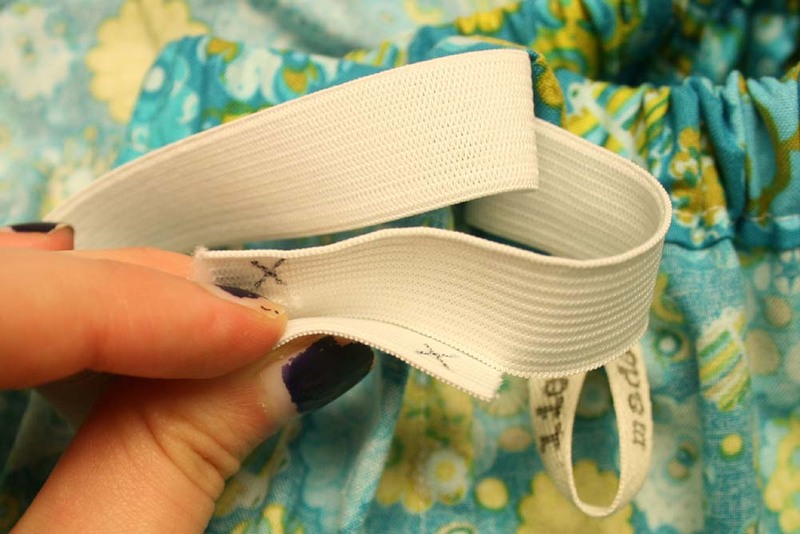 Either way, the point is to leave a 2″ opening so you can slip the elastic in later. 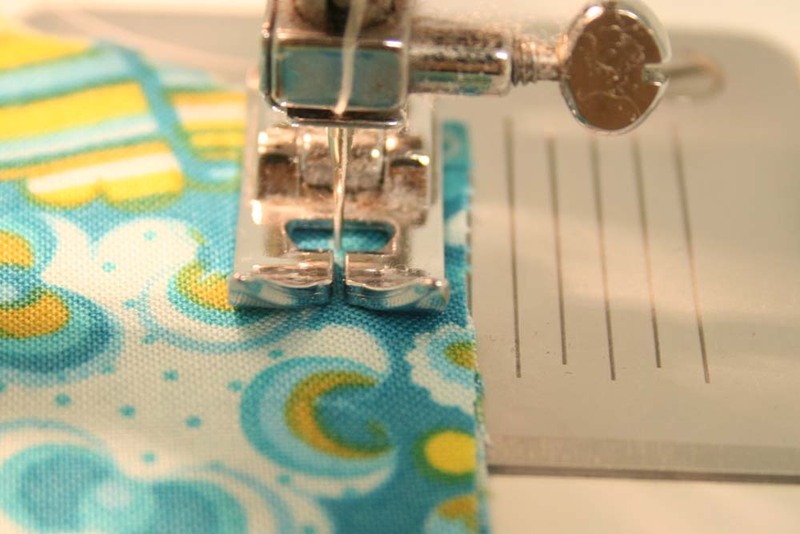 Now starting where you placed the ribbon/tag, stitch 1/8″ from the inside folded edge. 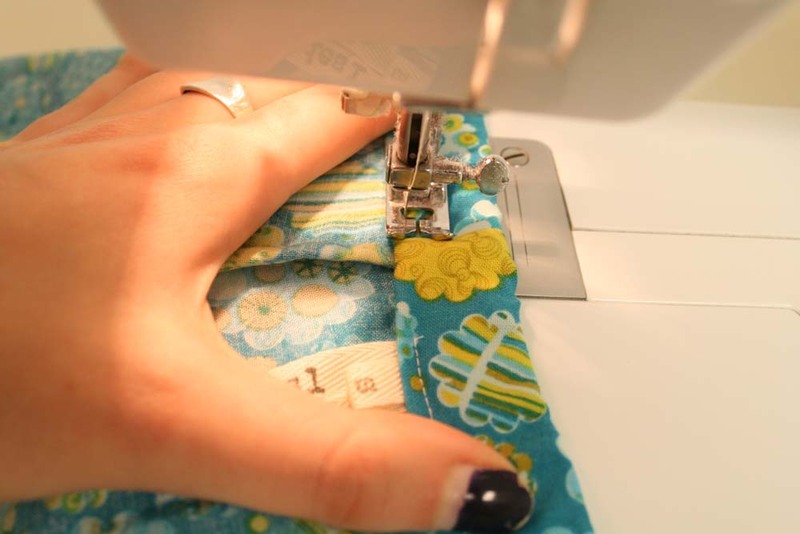 Be sure to back stitch when you start stitching so the threads don’t pull loose later on. 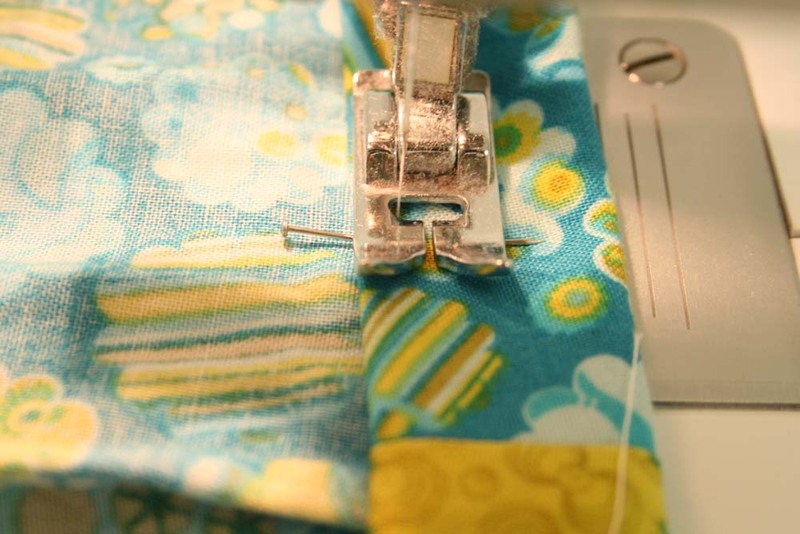 Stitch around the waistband, stopping when you get to that pin you placed earlier. (If you’re anything like me, you’re usually singing along–out of key, mind you–to tunes and it’s easy to forget to stop stitching.) Don’t forget to back stitch when you finish, to secure the threads. Now cut your elastic. For the size Small I cut a 26″ piece, for the Medium a 29″ piece and for the Large a 32″ piece. But hey, these are your PJ shorts, why not customize? 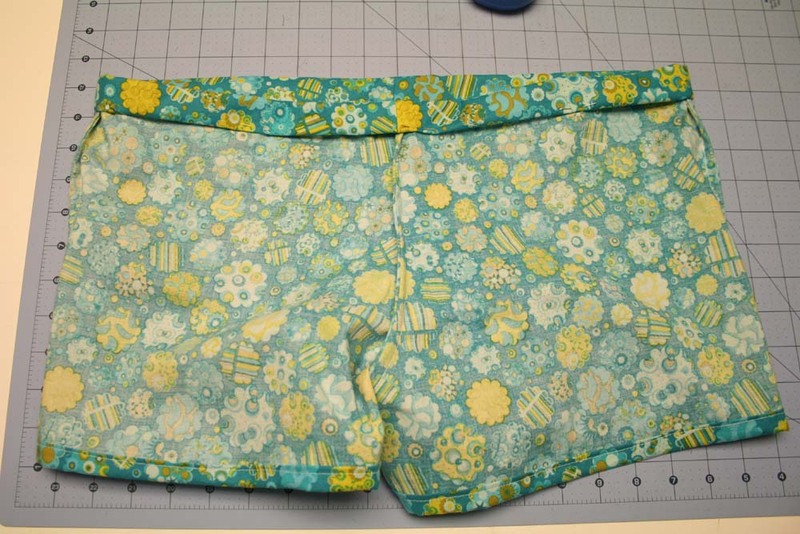 You can wrap the elastic comfortably around your waist (the PJ shorts have about a 9″ rise) and add one inch for overlap. It’s smart to mark the elastic as seen. It may come in handy later. Now, with a safety pin attached to the end of the elastic, insert it in the opening you left earlier. Pull the elastic through until it comes out the other side. Don’t let the other end of the elastic slip into the casing, make sure it still hangs out some. 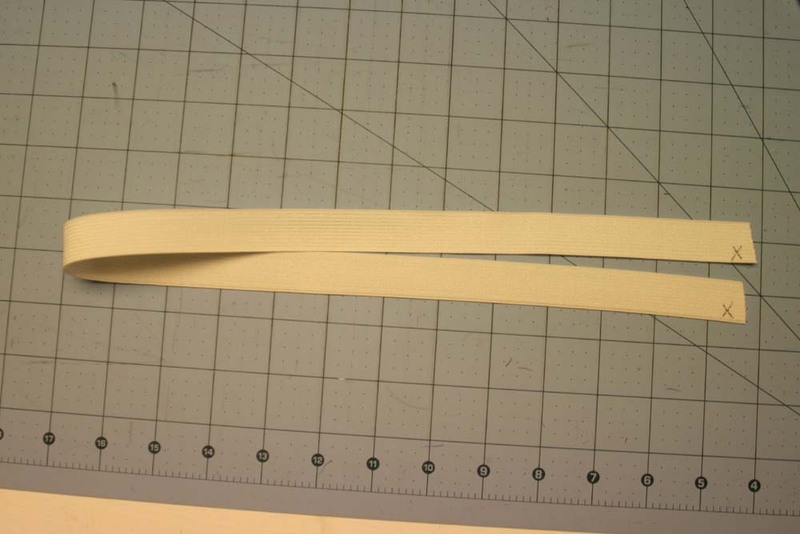 Overlapping the elastic about 1″-1 1/2″, with the markings you made on the same side, pin or hold in place. Make sure the elastic isn’t twisted anywhere along the waist. 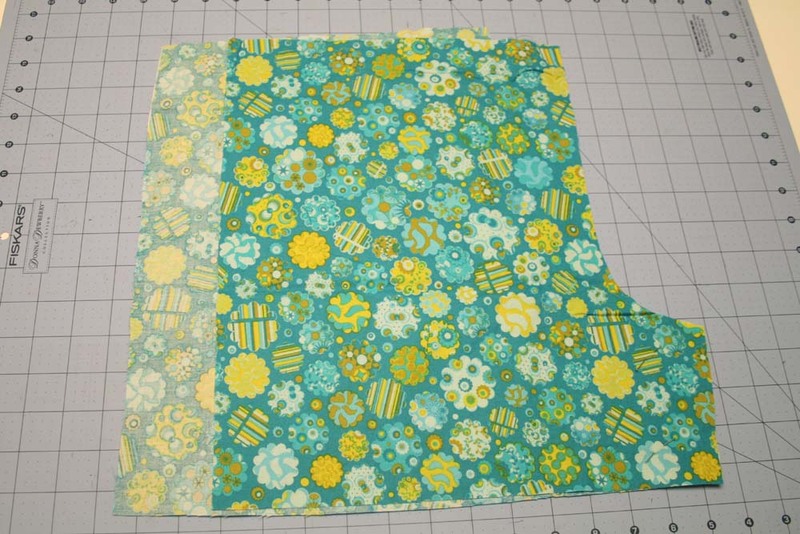 I forgot to get a picture of this bit, but you want to stitch a rectangle with a X in it where the elastic overlaps. 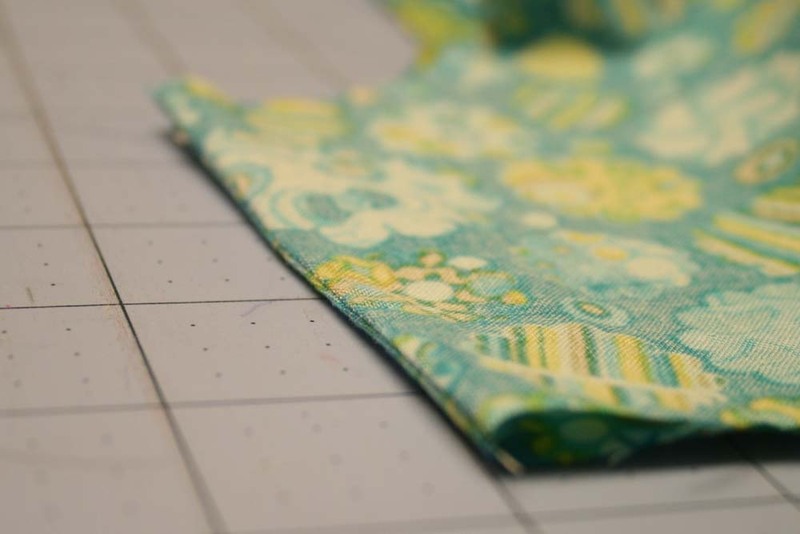 Now you want to pull the elastic back up into the casing and pulling the fabric taught/flat stitch an 1/8″ from the edge. OK, you’re done. Slip ’em on and dance around! Or get your lounge on! I’m not really the teacher type, so if any of this doesn’t make sense, let me know. I’m happy to answer any questions. As with most of my tutorials, they are for personal use only. Please do not make these shorts to sell. Thank you and have fun! Okay, I absolutely LOVE your label. You are so right, every time I put on my handmade PJs I usually put them on backward. From now on I’m using my labels. This doesn’t allow you to upload it directly to your blog, but it allows storage and you use it as a link. (I use it and it works fine). I also have these instructions for upload directly..though I haven’t used them. In your dashboard go to MEDIA and click “add new”. then when it’s finished uploading, a box kinda appears. there is Tile, Alternate tect, etc. Look at the very bottom for “file url” – That’s the link. copy it. hit save all changes. Then with your url, you can link it to anything you want. I hope this helps! & if you have a file that is not a pdf that you’re wanting to convert, I might possibly be able to help you there too. Just let me know. Great tutorial Liesl. I would love to try this sometime. I will have to try this sometime too…I still need to master the pdf myself. i’m definitely bookmarking this! i’ve long admired your pj shorts and i’d love to create some of my own using fabric from my vintage sheet collection. thank you so much for putting together a tutorial. i can’t wait till i get some time to put it to use. Can’t wait to try this out. Great tutorial and thanks for the pattern pieces! Where were you when I needed you! I made shorts like this using vintage sheets over the summer. I ended up having to enlist the help of my former home ec. teacher (My Mom) to help me. Your visuals would have been a huge help. Your French seam instructions are top notch. Will be using this technique for sure. Thanks for sharing, I need some of these! Thinking of making funky PJ pants for my kids this holidays and I think your tutorial will help! 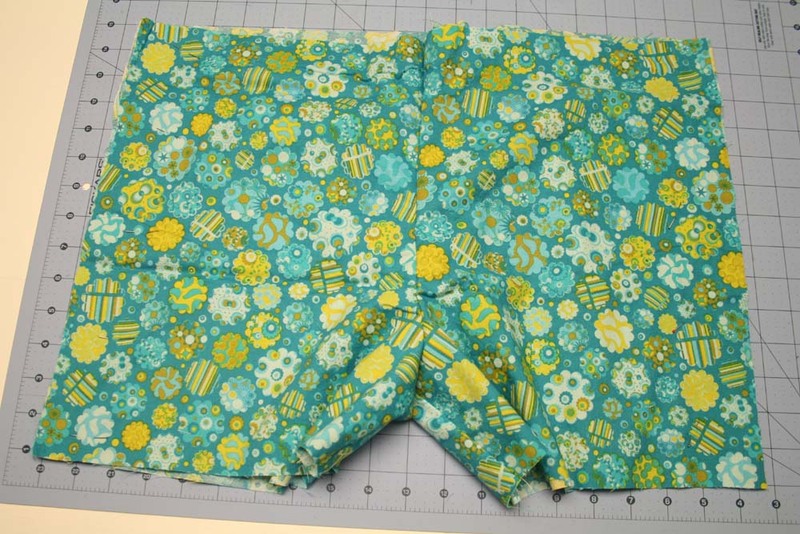 I know they’re for adult shorts, but I’m pretty good at modifying a pattern if I need to. Should be lots of fun. If I get time for it, I’ll post it up on my blog. Thanks! This is great! I was writing about making PJ shorts (not a tutorial). I have linked to your tutorial because I love it. I just helped my daughter sew her first real project. Your shorts! They turned out so cute, and my daughter loved them. Thanks! So glad you (and your daughter) enjoyed them!